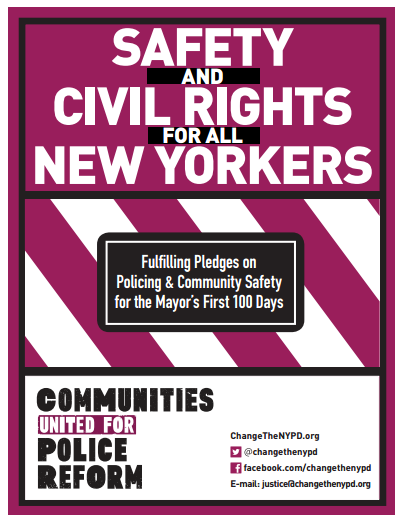 May 28, 2014 - In 2012, community-based, legal, policy advocacy groups and researchers in New York City came together in an unprecedented multi-strategy effort to end discriminatory and abusive policing in New York City. CPR is looking for an Organizer to join our staff team! Passionate about police accountability? Read or download the job description below to apply, no phone calls please. Deadline to apply: The position will be open until filled. 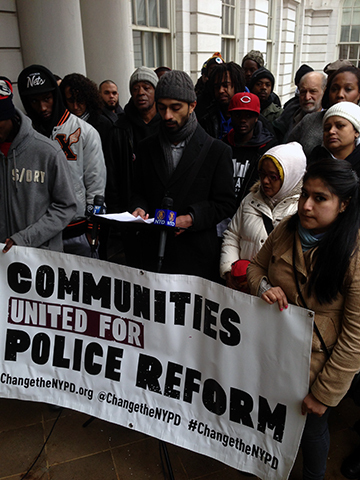 December 16, 2013 - Two weeks before a new administration takes power in City Hall for the the first time in 12 years, Communities United for Police Reform (CPR) released a report on how Mayor-elect Bill de Blasio can fulfill his campaign promise to change the direction of public safety policy in New York City to prioritize the safety and freedoms of all New Yorkers. 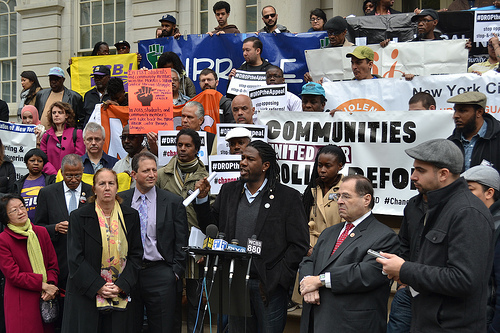 On Wednesday, November 6, 2013, the day after the general election, in which New Yorkers voted for a dramatic change in the leadership and direction of New York City, communities, advocates, and elected officials gathered on the steps of City Hall to call on Mayor Bloomberg to end his pointless and damaging appeal of stop-and-frisk reforms mandated this August by a Federal court. On October 31, 2013, the U.S. Court of Appeals for the Second Circuit granted the City Administration's request for a stay on the stop-and-frisk remedies mandated by the Federal District Court. The panel of three judges issued a two-page order, also removing the presiding Judge Shira Scheindlin from the case. The panel of three judges did not opine on the merits of the case, which will be heard in appeals trial scheduled for 2014. 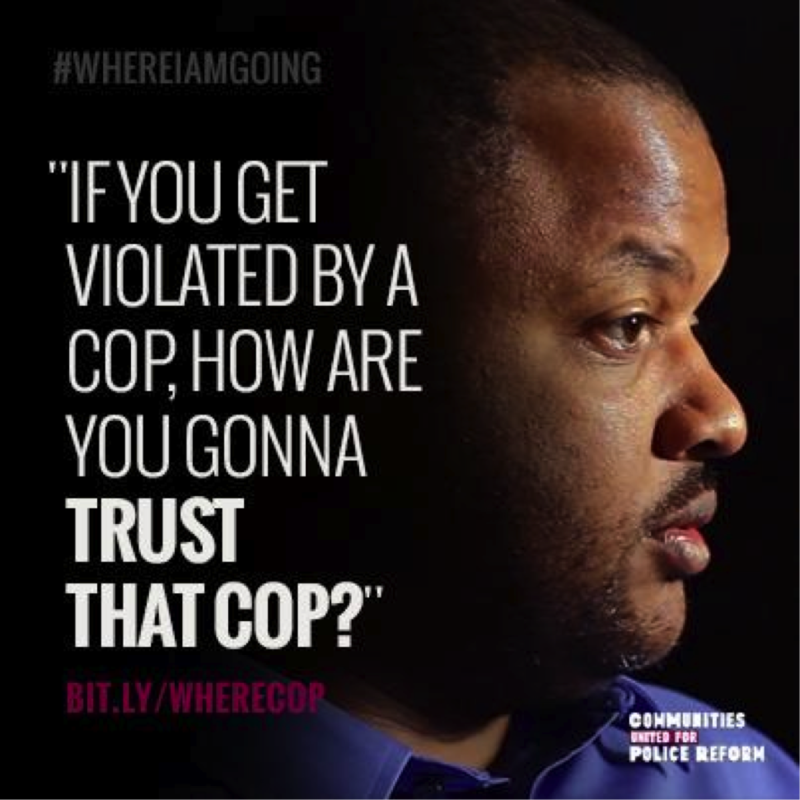 On Tuesday, October 8, 2013, Communities United for Police Reform released in both English and Spanish the third video in the #WhereIAmGoing video series, which highlights the human impact of the NYPD’s discriminatory and abusive stop-and-frisk policies. 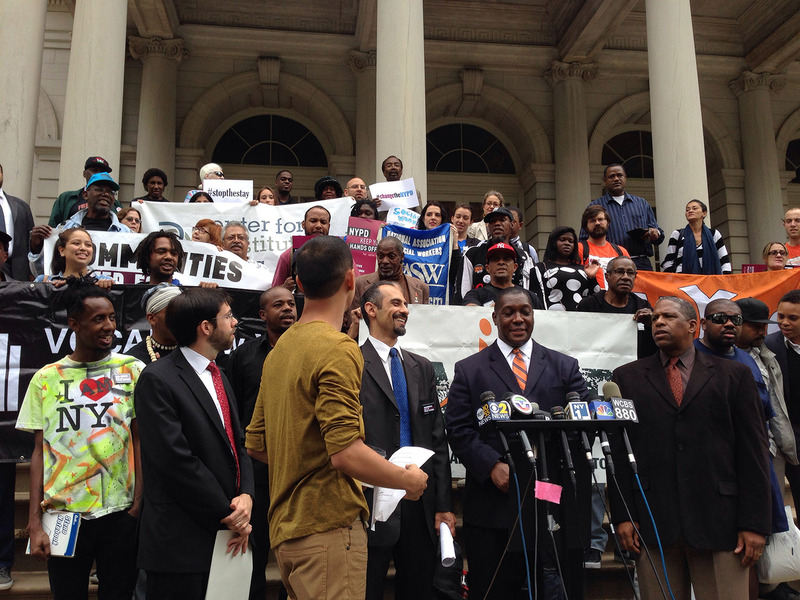 On Thursday, August 22, 2013, just a week after a Federal court found the NYPD’s stop-and-frisk practices unconstitutional and days before the 50th Anniversary of the March on Washington, the New York City Council voted to override Mayor Bloomberg’s vetoes to enact the Community Safety Act bills that will strengthen and expand the ban on racial and other discriminatory profiling and establish independent oversight of the NYPD.